“A game of Skills” featured on the front cover of the RSA journal (summer 2012 issue); “Tactics for Success” says the article. Bernie and Charles describe what they mean by Workshift 3.0 – the impact of offshoring and automation, and what Education systems can do to adapt. Download it here: A Game of Skills – Tactics for Success Article. 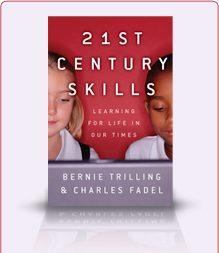 The National Research Council just published a report: Education for Life and Work: Developing Transferable Knowledge and Skills in the 21st Century that further confirms the critical importance of 21st century skills. We are strongly supportive of the Deeper Learning nomenclature championed by the Hewlett Foundation.